The Hazard Perception Test (HPT) is a touch-screen computer-based test that assesses your ability to recognise and react appropriately to potentially dangerous situations. The test is made up of 28 film clips of real traffic situations (randomly selected from a large pool of questions) to which you will be asked to respond. You must respond appropriately in at least 15 of the 28 clips (54%) to pass the HPT. You are stationary and wish to turn right at this intersection. Click the mouse when it is safe to do so. To help you understand the situation, the clip will be paused before it starts playing. The dashboard will show the speed and if indicators are operating. During the film clip you will need to click the mouse if and when you think an action is required. Actions include slowing down, overtaking or crossing an intersection. Just like when you are driving on a real road, the HPT may show you situations where it would be unsafe to take an action such as turning or overtaking. If you think it would be unsafe to act you should not click the mouse. Just like real driving where you only get one chance to respond to a situation, you will only be allowed to see each item once and cannot change your response once submitted. You do not receive feedback after each clip as in the practice tests. There are practice questions available at the beginning of the HPT. These questions are just like the actual questions but you get feedback on whether your response was good, could have been better or was unsafe. You get the chance to repeat the clip if your response was unsafe or needed improvement. For administrative details including fees and booking information, refer to the VicRoads website to ensure you access the most up-to-date and accurate information. 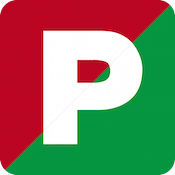 For comprehensive information on probationary licensing and Hazard Perception Test, please refer to the VicRoads website. The above information is a summary of this content and although current when published may now be outdated. To ensure you are accessing the most current and accurate information, use the VicRoads website or visit your nearest VicRoads Customer Service Centre.